Presently, a devastating drought in Somalia, the Syrian war and the ongoing Yemen conflict are causing unimaginable human suffering. The security situation for the respective countries remains unstable and dangerous. Moreover, those who want to help – the International Relief Organizations – are facing major logistical challenges to transport and distribute the urgently needed fresh water, food and medical supplies. „In most of the cases road transportation is no option and due to the lack of scheduled passenger and/or cargo flights, cargo charter flights could be the solution“ says Erwin Burger, General Manager of NeWay Logistics DWC LLC, who are the appointed Charter GSA for DHL Aviation EEMEA There will be a need of dedicated charter flights to reach the areas where the goods are needed most, whether that would be through direct uplift into the affected areas or through uplift into a secured country/airport within the area where a de-feeder service could then be set up. In preparation for upcoming humanitarian aid missions, NeWay Logistics in cooperation with HAE Group UAE conducted a DHL Aviation B757-200F charter flight carrying humanitarian aid cargo which was delivered on time to the customer. The Bahrain (BAH) based B757-200F with a gross payload of 30 tons is mainly serving scheduled network routes to the GCC countries, Iraq, Afghanistan, Jordan, Djibouti, Eritrea and Kenya. 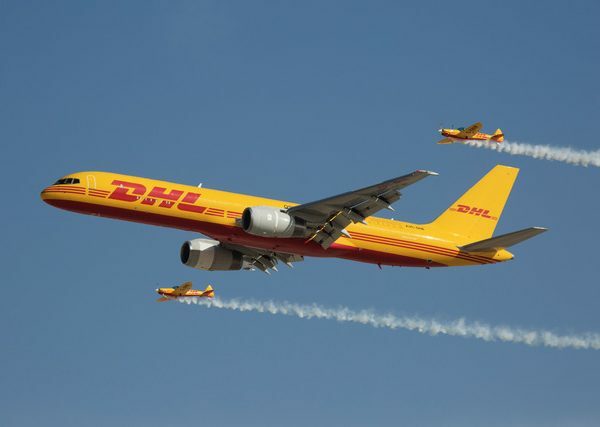 „Despite the DHL Aviation high scheduled fleet utilization, we still have available capacities to cater charter requirements,“ explains Erwin Burger.